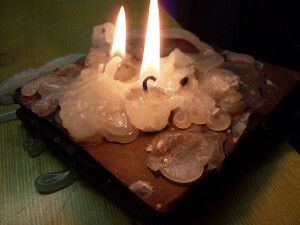 Paraffin Wax is white wax that is derived from petroleum. Its often used in the making of candles. What are the uses for Paraffin wax in Beekeeping. 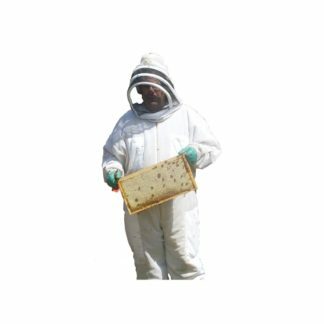 The biggest use of Paraffin wax by beekeepers is as a preservative to help protect their bee hive boxes from the elements. 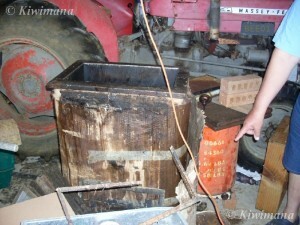 The process for dipping your beehives in Paraffin wax involves using what is called a “Paraffin wax dipper”. The wax is heated up to a liquid form and each hive is dipped in the dipper for around seven minutes. This helps preserve the boxes. 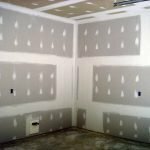 This process can be extremely dangerous and Paraffin dippers can be very expensive to get built. So a wax dipper is probably not economical for a hobby beekeeper with a few hives. If you know a commercial beekeeper you may be able to hire out his dipper for your use. Paraffin wax dipping is also used to disinfect hive parts from an American Foul Brood virus infected hive. Items need to be dipped for 10 minutes at a minimum temperature range of 150 – 160 Celsius. 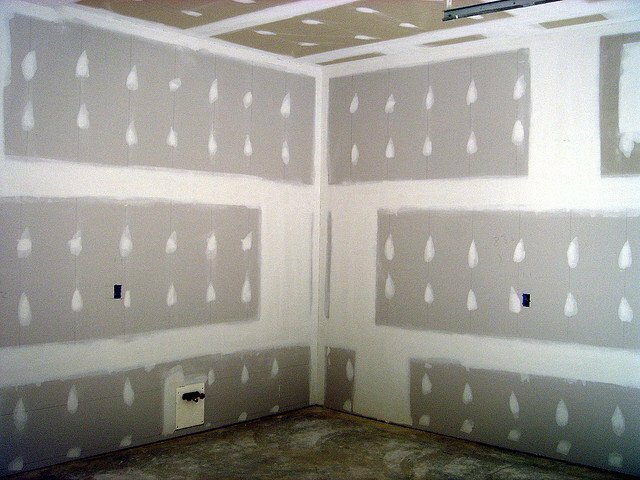 Another interesting fact about Paraffin wax is that it stores heat, and is used in the production of dry wall in the building industry. The wax heats up during the day the wax melts and stores heat. At night when the wax hardens the heat is given off. I wonder if that helps Paraffin wax dipped hive boxes give the bees some heat at night. I would be interested to hear your thoughts if you use dipped boxes? I know at lease one organic Beekeeper that dips his boxes and then paints the boxes and has had good results with the boxes not rotting. 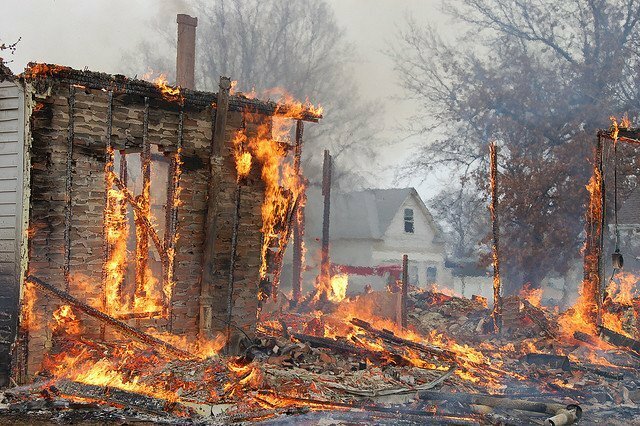 We have heard of fires caused by wax dippers, you have to be careful because if the wax gets too hot the vapour can ignite. Well that's my thoughts, we would be keen to hear from you. 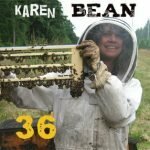 Do you use Parafin Wax in your beekeeping? 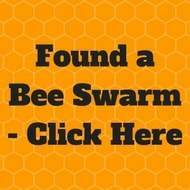 Commercial Beekeeping – How do you get started? I am shocked they include it in organic status. Shows how much organic is a low standard when it allow petroleum products. Yes I have never understood that either. We use hot wax (parafine) dipping on regular basis. 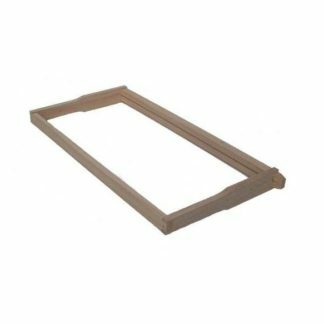 For each new piece of equipment (wooden) and when necessary for old ones. 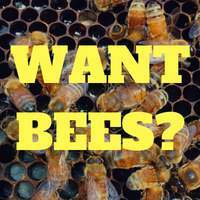 And always for stuff where bees died with signs of nosema disease etc. – as a desinfection. We use it for ten years, it took fire at least three times. Always OK (thank! )- I have powder extinguishers around the work place and the dipper is placed under open sky only. First time I was surprised, afterward I knew what is it about and it was better. I would recommend the “mind training” for this situation – to imagine what will happen and what should my reaction be. There are some photoes: http://vcelky.cz/fotobanka-23.htm. 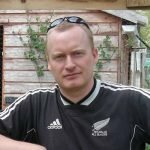 The inspiration for start with hot wax dipping we get from New Zealand – thanks a lot, today I think it was very good decision. I am shocked that this is promoted as safe for humans or bees. When paraffin is heated even at candle temperatures it gives off toxic vapours like carbon monoxide, carbon dioxide and at times aldehydes and ketones. A breathing apparatus should be used when heating it. The toxins can accumulate in organs such as liver and kidneys and it impacts on the immune system. Why you would want it near bees I do not know and it is possibly contributing to bee disease while protecting a box from rotting. Some people have commented about the use of food-grade paraffin wax. It would be helpful to everyone if people who want to make comments like this did a little bit of research before they make misinformed comments. If you check the paraffin wax which can be bought from the supermarket, or which is used for candle-making, or for various cosmetic purposes, you are likely to find that it is a refined, food-grade product. Food-grade paraffin wax is not digestible, but passes through our digestive system. Paraffin wax is the material which is used to make waxed paper for wrapping food. It has been used for many years to seal jars of home-made jams. It is one of the ingredients which are used to make the “chewy” part of chewing gum. It is used to coat hard cheeses, such as Edam, to keep the cheese fresh, to stop it from drying out. Small amounts of wax are sometimes added to melted chocolate, to make the finished chocolate items shiny. 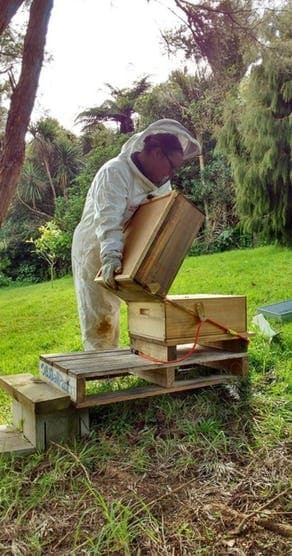 When it comes to bee keeping, the wax is not only used to protect, but also to disinfect, the hive boxes. When hive boxes are dipped at the correct temperature, for the correct amount of time, the hot wax kills bacterial or viral infections which may have entered the hive, making the hive box safe for the next generation of bees which shall live in the hive. Hi Wilfred, very interesting points. 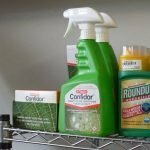 Yes many products are available out there, but unfortunately it’s very hard as a consumer to really know what is good versus bad, harmful versus helpful. My understanding is that petroleum is used to produce parafin wax. Petroleum is put into hives sick with AFB which kills the Bees. Petroleum is used in my car which I use to travel, Petroleum is used to start fires to keep us warm – views on each of these good raise comments as to the results of using petroleum in these ways can be viewed as good and bad. I guess the concern for folks is that being natural or organic is the consideration of using a product that is naturally something that a Honey Bee has the ability to deal with. Honey Bees can deal with, build, chew their own wax. But the question maybe just because parafin is used in food production methods as a sealant – is it healthy ? …do the residues of petroleum affect the foods ? If we were to ask some agencies they would probably explain some long-mathematical equation that would add up to the agency saying “negligible” but in my understanding is that it doesn’t rule out harm completely. Many of the agencies may be vulnerable to accepting a corporates view but this can mean there is no independent assessment so therefore leading to a decision which may well not be in the ordinary consumers interest but great for a corporates revenue stream. How would the ordinary consumer really have the ability to detemine the validity of the claims ? Personally, I would like to believe that the producers of products are all good, caring and nice people but when people are struggling to make a buck for survival, where corporate demands manipulate to get more dollars – in my view todays standards seem to be more focused on the dollar rather than the long-term outcome or harm which could be caused. There are so many studies showing that mobile phones cause harm but is that what a company that sells them is going to use in its advertisement ? 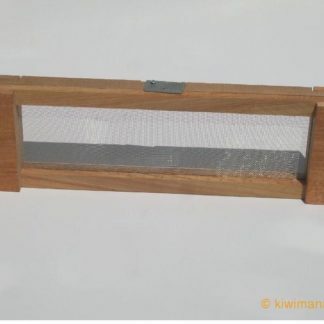 well I havent seen them warn consumers about he harm a mobile phone and the twoer from which is pulsing through the air – so my question would be this ‘…is long-term a parafin-dipped hive-box, a product that Bees can cope with ? can Honey Bees process and clean parafin-wax-dipped hive-boxes without any harm to their gut or digestive system ? can they produce propolis from the tanins in the hive-box wood ? 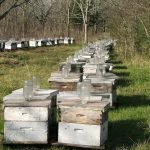 Could the Beekeeper achieve longevity in their hive-box with out using parafin-wax-dipped wax ? 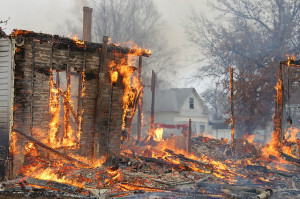 AFB infected colonies are burnt here in New Zealand anyway or at least thats what’s required, so it won’t stop AFB. I guess Folks don’t know what they don’t know, but they may pcik up information that resonates with their philosophies and I think their thoughts are with the Honey Bees. Honey Bees use proplis to clean, if they can’t apply proplois to their wood – there may be risks with that. Propolis is also used by Honey Bees to provide water resistence and as a gap filler for draughts. If something passes through the digestive system – it means it’s being processed by the body and as we all know just because something doesn’t cause immediate harm doesn’t mean it doesn’t cause any harm. I like the points you make and adds to on-going debate – at the end of the day the individual will make their own decision and generally this will result in the fact that there will be varying views. 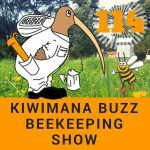 Regards, Margaret …it’s the kiwimana buzz..